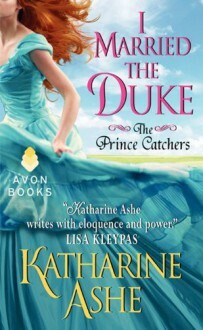 I Married the Duke by Katharine Ashe has descriptive copy which is not yet available from the Publisher. http://ClioReads.booklikes.com Heidi Hart 3.5 Hmm, How Many Tropes Can We Fit in One Crazy-Sauce Romp? text Hmm, How Many Tropes Can We Fit in One Crazy-Sauce Romp?